New blog showcasing Shodo-X wave 2 ending with a tease for future Shodo-X figures. Here's the ones I'm very sure are what I think they are. The top right looks like Kamen Rider Beast to me, but that's odd to have him before Wizard. No idea what the 3 brown ones might be above Ryuki. 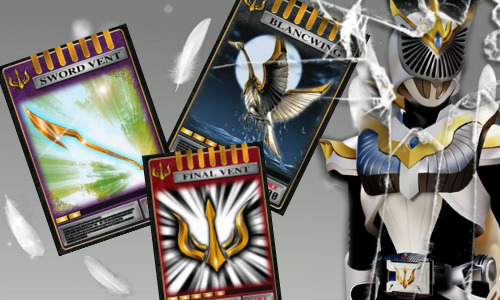 EDIT: Realized the top right is probably Agito Ground, Flame, and Storm. Also, if Agito is in the top right, then the thing I labeled Dragreder might be the Machine Tornador. It's a toss up on that one. Still zero idea on the brown ones above Ryuki. Last edited by Blade Raider; 10-12-2018 at 02:40 PM.. The top right could be Odin and the survives. I know what the top right is and I feel dumb for not realizing sooner. It's Agito Ground, Flame, and Storm forms. The red and blue are to one side of each body. Storm's weapon is next to them. EDIT: If Agito is in the top right, then the thing I labeled Dragreder might be the Machine Tornador. It's a toss up on that one. Last edited by Blade Raider; 10-12-2018 at 02:38 PM..
Real Ryuki fans would buy Ryuki Blank and Knight only to recreate the ending of episode 1. The fact that these are pretty much Kamen Rider figures the size of G.I.Joes or Star Wars figures and cheaper compared to figuarts or medicom rah figures with adequate amount of posability I think is what makes these worth buying. Last edited by Sunred; 10-12-2018 at 04:49 PM.. I really need to find a bigger shelf for these guys. Wave 4 is Ryuki themed. No idea if it's the full wave, but it's the bulk of it for sure. Also looks like Shodo-X will be keeping an every other month schedule of release. At least for the time being. And because this is also on display, more of SO-DO Zi-O Ride 4. There's still at least one more in the wave not revealed. Maybe two depending on if a Ride Armor body is included in the wave. 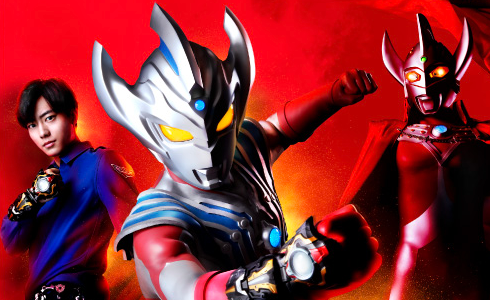 Kabuto Ride armor looks fantastic, kind of curious if it might be coming in the show soon too. The whole double Zi-O thing got me wondering if it's cross your own timeline stuff per the hints of OOOs about learning from overlords, or if it's a worm in disguise. Blade's armor looks great. Though I expect we'll see more on that later maybe in the show. But fully deep stuff maybe not until much later. Expecting something from it, Kiva, and Kabuto though because they are very "king/Rule over all" kinds of series. Blade and Kabuto in particular stand out for various sub-story reasons of their supporting casts. There's a lot of potential with Chalice, and Sasword. And how that plays to Kiva's themes too with Wataru. Kiva's interesting because if you wipe out the show, technically Wataru doesn't get born. Love the emphasis on the boot in the design, per the design history of Tajador and Kiva's rider kicks. Shodo looks fantastic. Glad to see the full contract beasts getting made. Really hope that means we'll see tiger later too, personal fave from Ryuki designs. And also makes it possible for Genocider, and the contract beast gear too. Glad Shodo-X is doing so well. SHODO, just take my money now. I know you already have all my money, considering the Build line, but just take me instead.